Critical planning considerations you must know to create a successful inbound customer support program. You have a product or service. You have customers. Now, you are thinking about the best way to support those customers. But what’s the best way to do so? There are many planning considerations and decisions that must be made prior to developing an inbound customer support program. As much as you may want to just throw money at a solution like a call center and hope for the best, there is a practical, cost-effective way to create a strong customer service image and superior support. Here is how you can develop an inbound customer support campaign along with some of the questions you must ask to achieve the best results. WHO ARE YOUR CUSTOMERS AND HOW WILL YOU SUPPORT THEM? Phone Support – Just about everyone wants live answer phone support. Live support is “king.” Customers tend to feel most assured when they speak with a competent live representative. It’s not always the first method of contact that customers will try, but it is the one they lean on the most when they are serious about getting their issues resolved. Email Support – Email has a bad rap in the service industry. Mostly, because many businesses are ill-equipped to respond to email in a timely manner. Customers are often left waiting for days to get an email response. Then they can never be sure their email won’t be added to a spam list. If you can respond quickly and professionally to email, you will endear your customers to you. Web Chat – Getting more popular each year, web chat is a nice blend between ‘live answer’ and ‘email.’ When you implement chat correctly, customers feel very well served, questions are quickly answered and proper service is ensured. Speak to your prospective outsource vendor about the different types of support they offer. Make sure they understand your customer and how you need to support them. A great outsourcer will be able to offer much insight here, because they have a track record of helping all different kinds of businesses in different ways. Don’t be afraid to find out if your customers are ready for new kinds of support channels that you are not currently offering them. WHY DO YOU NEED TO OFFER INBOUND CUSTOMER SUPPORT? Seems like a silly question, but go ahead and ask it. You need to figure out why you need to offer support in the first place. There are many reasons why your customers may need to contact you. You must anticipate those reasons in advance so you can create a meaningful response program. This is much easier to do if you already have a product or service you are offering customers and you have support processes in place. When this is the case, you are normally just enhancing or expanding the service that you currently provide. However, when new businesses are taking a swing at customer support, everything must be planned out in advance on paper. It is necessary to look into the future to anticipate how your new customers will require your assistance. What if my customers need us after-hours? What if my customers have lots of questions on a regular basis? What if I need to capture sales opportunities during a customer service transaction? What if my customers need technical support? What if my customers call me and I am unavailable during the day. What if my customers would be more quickly served by web chat or email response? What if my customers have complaints? What if my customers need to set appointments with us? What if my customers find it difficult to use our website? What if my customers want to place orders around the clock? Are you? Most companies do in some way. But what will be the result of your advertising? What is your “call-to-action?” If you advertise, and you likely will, you are going to have a call-to-action. And what is it? For best service, chat with our representatives 24/7! Every time you create a call-to-action, you create a required customer service response. So plan for it now and think it through in advance so when the calls and emails arrive, you will be ready. Now, don’t forget to keep your call center team in the loop. They need to understand your marketing strategy thoroughly for a successful inbound customer support campaign. Why? Because you will hopefully develop high volumes of customer response. And if you want good service, you have to make sure representatives are ready to handle that volume. So it is best to share at least a top level overview of your marketing plans, strategies, cycles and content with your chosen business process outsourcer (BPO). What geographic region are you advertising in? Are you sending out a catalog? When and to whom? Are you using direct mail? When? And what does it say? Are you advertising on local or cable TV? When? And what does your ad look like? Are you setting up any billboards? Where? Are you publishing ads in magazines or newspapers? Are you issuing a press release? Will you be on the radio? When? Are you doing any non-traditional types of advertising? What’s the expected response? Every ad cycle creates a unique response. Plan these responses with your call center BPO so they can be ready to support you. OUTSOURCE OR KEEP IT IN-HOUSE? If you are already running a successful call center or customer service department in-house, then expanding it just a little bit may not be that hard to do. In fact, sometimes it makes sense to keep some of this work in-house so you can actually see if your marketing is going to create the flurry of activity that you expect it will. Once you prove out the results of your marketing campaign, you can accurately assess how much additional support you are going to need moving forward. The last thing you want to do is throw a bunch of money at a BPO outsourcer thinking that your television ads are going to create thousands of calls, only to find out the phone doesn’t ring even one time. Now you are starting to see the plan come together. But how will the calls get from you to your call center? Ahh. Telephony. Are you giving your customers a local number or toll free number to call? Do you even have a local or a toll free number? You will need to get those calls forwarded from one place to another and you need to make 100% sure you don’t have any blockages along the way. A good BPO can provide you with either a local or toll free number for your inbound customer support program if you don’t already have one. 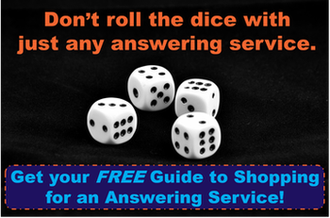 If you do have one, you need to get on the horn with your service provider and ask them about call forwarding. Why? First, you need to make sure you know how to enable it. Then you need to make sure that your service provider is able to call forward a large volume of calls. Yes, some service providers have restrictions on the number of calls that can be forwarded at one time. The last thing you need is to have a bunch of busy signals offered to callers just when the marketing starts to kick in. You can also order special numbers call vanity numbers from different service providers. Vanity toll free numbers, for example, are numbers that have repeating digits or an easily recognizable sequence of numbers. You can go online and Google “Vanity Toll Free Numbers” and find hundreds of vendors very quickly. Be careful to check pricing. Vanity numbers aren’t cheap. If you currently have a customer service team in place – great! You probably already have processes you can enhance. If you don’t, then you need to walk through those processes in advance and plan out all the steps to make sure your inbound customer support program is a success. Either way, you still need to translate the process to your chosen call center service provider, because they now must be taught to do things the way that you want them done. Let’s say you have a product that you are selling and you need order processing assistance. Now is the time to develop every step necessary to efficiently process that order. 1. What details must be gathered to process your order? Is there an upsell/cross-sell opportunity? You have to build out a step-by-step process for every question that needs to be asked of your customers. 2. Do you have an online shopping cart? How will your call center capture order information? If you have an online shopping cart, then your call center will need to “pop” to your website during a live order call and fill out the shopping cart for your callers. Your call center needs very explicit step-by-step instructions on exactly how to use your website and process orders online. If you do NOT have an online presence, then your call center will need to develop an order entry form internally, capture your order data and then securely send that data to you or to your fulfillment provider. Nowadays, most folks have an online presence, so the real work here is mainly focused on developing the order processing steps, which is crucial for a great inbound customer support campaign. WHAT IF IT ALL GOES SIDEWAYS? You need an escalation plan. Yes, unintended things always happen to inbound call center programs. Even the best planned programs spin out unforeseen results. That is why the best planned programs have an escalation channel. An escalation channel provides your call center agents with a way to quickly obtain information and get it to someone that can made a decision on a situation in real-time. This is an absolutely necessary component of any customer service campaign. The goal here is to provide customer service even when you are not sure what to do. When you properly escalate a few of these one-off situations, you can then review what happened and develop a process for future occurrences. These are just a few of the reports that you could be looking at. But this is a good group to start with when evaluating your new service program. You know, it never hurts to be intimately involved in your call center’s training program. Often, you will get the best results when you participate directly in initial train-the-trainer programs or provide regularly scheduled phone or webinar training sessions. When you are hands-on, you will get to know the supervisors, trainers and agents that are on your call center team. When you have a personal relationship with your call center, you will develop better inbound customer support results. Don’t just be a backseat driver. Jump in the driver’s seat from time-to-time and work with your team. View your call center as an extension of your own company. The sooner you do this, the sooner you can help drive results that affect your bottom-line in a positive way. Even if you cannot get as much face-time as you would like, it is critical that you have regular contact with your call center to ensure that the relationship-management piece of the equation is not left behind. When you are interviewing your potential call center partner, spend a good amount of time talking about their hiring and training processes. To summarize, hiring a quality call center partner to take care of your inbound customer support is not impossible. There are many to choose from. However, the hard work must be done up front. You have decisions to make. You need to determine, realistically, if you need an outsource partner. Once you know that you do, it is imperative that you spend time on the front-end developing the relationship with your chosen partner. Dig in deep. Ask questions. Learn about their processes, procedures and people. Don’t stop revisiting subjects until you know you have a partner that is going to be a good fit for the type of product or service that you offer, and that you are confident they can deliver the service that they are promising. And finally, don’t be afraid to ask for references. You need to talk to other businesses that have successfully (and even unsuccessfully) used your service provider’s support plans. Speaking to references will give you the additional perspective you need to make a final decision on choosing your outsource partner for a successful inbound customer support campaign.